We do need more HDMI ports on our TVs. It’s a common, although decreasingly so, problem with televisions that they sport far too few HDMI ports. Generally this is due to the costs of adding more to a set, partly through the license fee (HDMI isn’t an open standard) and partly because of the cost of implementing multiple HDMI ports. Fujitsu claims to have solved that problem and is soon to offer TVs boasting four HDMI ports on each set. The solution bundles the four HDMI decoders into a single chip and uses a single amount of embedded memory for all four ports. 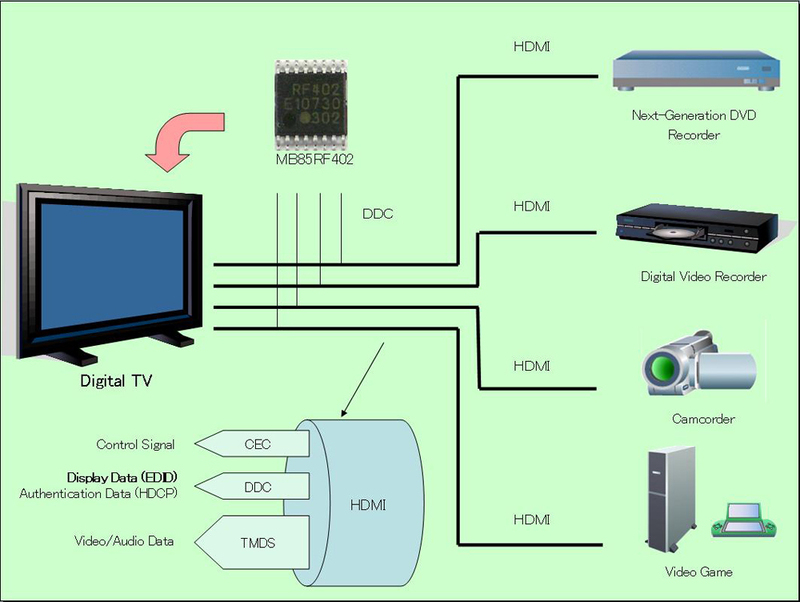 The technical side is a bit more in-depth but it is the end result that’s important – more HDMI ports for less money than previous decoder chips. There is also a space saving benefit but given that the size of the LCD or plasma panel is the deciding factor in determining the size anyway that probably doesn’t matter as much. Considering the amount of HDMI-outputting devices we have laying around, the idea of being able to use them without having to constantly mess around with switcher boxes is certainly an appealing one. Presumably other manufacturers will take up the chips in their own sets, or develop rival solutions. Either way progress is always welcome and we look forward to seeing the chip in use soon.